Schools | Southwest Neighborhoods, Inc. The Southwest Neighborhoods, Inc. Schools Committee meets on the 3rd Thursday of every other month during the school year; September, November, January, March and May. Confirm scheduled meetings in the Southwest Neighborhoods Calendar. During winter weather months, please check to ensure the Multnomah Art Center is open. Public meeting archives on Google Drive. Take a look at JMS Code Squad to learn more about how this Impact NW SUN Program, Multnomah County Library - Capitol Hill, SWNI Schools Committee project worked through the Fall of 2018. We are now posting photos on Instagram - swnischools. Get an update through a recent photo. Our updated 2018-2019 video will be uploaded shortly. Watch for this simple and effective way for us to tell our story. You can use this word cloud software too. Type a paragraph and see what is the most used word or words. For us it was students! Of course, our work is all about SW Portland students. On April 19, 2018 we hosted an Education Equity Session in the gym at the Multnomah Art Center. Attendees broke out into self selected conversation circles to talk about access, cultural competence, identity, advancement and services. We are in the process of reviewing information from evaluations and planning a follow-up session. We believe we will convene a similar session around June 21. Date and place to be confirmed in the June issue of the SW News and by Facebook and other social media and electronic messaging. We thank ONI for our small grant and we extend special thanks to the education professionals, organization and community leaders who guided our effort. See their names and contact information here. We also extend our thanks to Sylvia Bogert and SWNI Staff for their support - right up until and through this session. In October 2018 we hosted Speak Up! A session for the community to learn more about education equity and the value of speaking up on behalf of your children as well as others in the community. The slides for this event are available for interested groups to use. We expect to use this same format and approach again in the Spring of 2019. This work was supported by the Hillsdale Community Foundation and our 2018 Small Grant that includes Reach Outs. Also, see our Program Resource Sheet. This was where we provided information for the session and incorporated links and other SWNI information. Disclaimer: Our committee provides this information to support you. The opinions are those of the site authors, not expressly the opinions of the Schools Committee. We send an electronic message about this meeting with our agenda a week before the meeting. Email schools-chair@swni.org to be added to our distribution list. Our March Meeting Agenda will be available ahead of our meeting. In February 2019, Volunteer Patty McMahon was awarded an OCCL/SWNI Small Grant for Tech Equity Extensions: Code Squad. Watch for more Fall 2019 info on this panel with participatory conversation circles. Here's our Final Report for our 2017 ONI Small Grant for review. No time to read the report, just check out these photos from last year. Lots of fun and learning too! Common Core Presentation - January 2017 SWNI Schools Meeting: USA Academic Performance vs. 30+ Industrialized Countries per the OECD (Organization for Economic Co-Operation and Development) established in 1961. I said some time ago that, after 10 years as chair, it was time for new leadership. Therefore, I am pleased to announce that on June 22 the SWNI Board confirmed the appointment of Maripat Hensel as the new chair of the Schools Committee. This takes effect immediately. Maripat is an excellent choice. She has been actively involved in the committee, most recently as the lead coordinator of our successful TechConnect event in November and working on the follow-up activities for involving entire families in the use of technology for students. Therefore, she is well-prepared to take the lead on future activities. I will continue to help out on the tech project as needed. It has been an honor to serve as the Schools Committee chair for the only coalition that has such a committee. We care about our kids. Assigning Chapman Kindergarten students to classrooms at the PPS Ramona campus, 1545 NW 13th St. as a temporary solution and sending portions of the Chapman attendance area to surrounding elementary schools. Moving Odyssey K-8 from Hayhurst to East Sylvan. Retaining the Spanish Immersion program at Ainsworth. Reassigning a portion of the Capitol Hill Elementary catchment to Stephenson Elementary. Splitting the Bridlemile attendance area at middle school, with the majority assigned to Gray/Wilson, and small portions attending West Sylvan/Lincoln (rather than splitting Bridlemile when students enter high school). Assigning current Bridlemile 5th graders to West Sylvan this fall, with the right to transfer to Gray, given that these boundary changes do not take effect until 2017. These students are assigned to Wilson for high school. Maplewood Elementary is assigned to Jackson Middle School, as proposed by DBRAC, instead of to Gray, as proposed by the Superintendent. Prepare to reopen Smith School as a K-5 with a projected launch of Fall 2019. Consider a possible new K-5 or middle school site to be incorporated in the Lincoln High School Master Plan. Work with the City of Portland to allocate enough square footage in the old Post Office redevelopment plan to be the location of possible new K-5 or Middle School. Consider, through the educational options review process changes to the MLC campus, including shifting it from a K-12 to a K-8 focus option that prioritizes access for neighborhood children and moving MLC's K-12 program to a new site (possibly as part of the Post Office redevelopment) and repurposing the Couch Elementary building now occupied by MLC. Learn more, follow the process on the Growing Great Schools I & II web pages. The Stephens Creek Crossing listening circle had a variety of interests, so we are conducting a few more to narrow down the priorities. SUN programs are major partners in this project. There have already been some coding classes by the SUN coordinator there, and by the librarians at Capitol Hill Library, inspired by the listening circle. 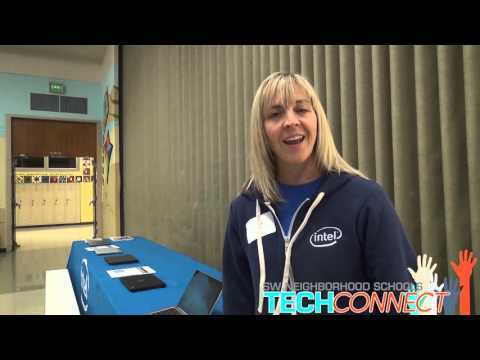 Southwest Portland community organizations and schools come together at Jackson Middle School to explore the expanding role of technology in the classroom. Feedback was overwhelmingly positive. Participant interacted vigorously, enjoyed the keynote speech by Darren Hudgins, consumed quantities of refreshments and generally had fun. We have made many contacts at the event, including connections to Stephens Creek Crossing residents and many of the exhibitors. Now we are getting more formal feedback to guide our next follow-up activities, including an update on the principal interviews we conducted in the Spring, where we found variability in resources, but a rapidly-changing picture. We will have a smaller tech-equity event at Capitol Hill Library in January or February for the families in that area, and further activities are coming. There is a wealth of documentation to digest, including a video by a Wilson student which will be released shortly. Our Neighborhood Small Grant report will have more information. Meanwhile, visit swni.org/schools for pictures and other updates. Activities will continue beyond the grant deadline of January 30. Click here for "Why have a SW Schools Tech Equity Project?" If you are able to attend our monthly meetings and report at your neighborhood meeting, please contact the Schools Committee chair (see More Information below) or your neighborhood board to be nominated as a Schools Committee representative for your neighborhood. It's an easy commitment of a few hours each month and an enjoyable way to learn about schools and your neighborhood! Robert Gray also has an excellent resource on CCSS. Take a look at this slide show about the committee's role and the need for neighborhoods to be involved in the schools serving them. Click here for a review of issues that the Schools Committee currently follows. Call 503-764-5501 for latest changes. The Schools Committee is interested in what you think is important about schools. Please print out and return this Neighborhood Schools Survey to SWNI. - Go to where the audience you want to reach lives attends school or activities or works. Personally invite people to attend. - Partner with other organizations. - Stay flexible and open. - Be curious – Figure out what is needed and how steps may be taken be taken short term and long term. - If one person attends it is worth the meeting time. - Include the children – figure out what they can do while you are working and realize the meeting will be disrupted a few times. - Stay consistent. Go back again and again. - Communicate in as many ways as possible. - Look for ways and things that are already being done that you may participate in and add support. - Keep each project as simple as possible. Define terms for everyone. - Use Google translate or services via the library or schools or better yet – bring someone along who will volunteer to be the translator. - The best plans can be altered with bad weather or illnesses. Have a backup plan or two.